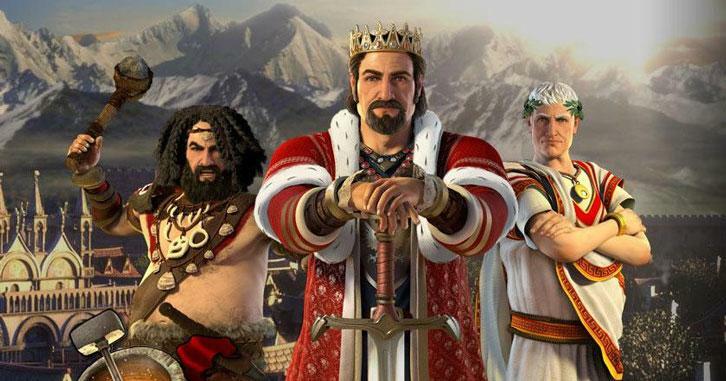 Start from being a tribal chief to the leader of a mighty and advanced empire, Forge of Empires is a strategy game that brings you through the different ages in civilization! Build a flourishing city and conquer other provinces and sectors on the map by showing them the strength of your army in an exciting turn-and grid-based combat or by buying them out through negotiation! No matter if you’re a merciless conqueror or a more diplomatic one, you’ll still need armies to at least defend the heart of your empire! Don’t forget to set up a strong economy to support your conquests and campaigns and upgrade your buildings from time to time to increase their output! Research new technologies and usher in a new age to give your empire a leg up from the masses that are still using slings, and you, bronze weapons! Can you forge such a formidable empire that even your enemies will tremble in fear of your name? Play Forge of Empires today to find out! The game starts off with tutorial, though it is not comprehensive enough since you still have to figure out a lot of the controls by yourself. It should be more in-depth, especially for combat, which you will definitely encounter later on. To start building up your empire from a small tribal village, you’ll definitely need more buildings! Begin taking your first step towards development by building houses to make room for your people. The building process may take awhile, but you can always speed things up using diamonds. Don’t forget to ensure that your buildings are connected by a road to your town hall as well! Population is important as they will not only produce income for you - population is needed for you to get other buildings running, like military and production buildings. Production buildings are needed to produce supplies for you, though you’ll have to manually set how many supplies you want and wait until the delivery to complete. Getting enough resources, or in other words, having a strong economy, is at the heart of any budding empire! In this game, the most important 2 resources are coins and supplies. Supplies in general can be collected from any production building, while coins can be collected from residential houses. There is no noticeable limit as to how much resources you can store in this game. There are other higher grade resources, such as lumber, stone, dye, spices and many more that you can eventually produce as well! Since your people cannot live in huts forever, it’s time to bring your tribe into a new age and upgrade your buildings! To do so, you’ll need research! You are given a very extensive tech tree in Forge of Empires. Each new technology that is unlocked for you will require forge points to research. You can have only a maximum of 10 forge points at any time and these points take quite a long time to regenerate. After certain researches, you may even get to bring your tribe into another new age and so on and so forth until you reach the height of civilization in the Futuristic Age. Advancement and development is good and all, but if you’re citizens aren’t happy while living in your city, they will not work efficiently for you. Thus, ensure that your people stay happy at all times! How? Well, by buying decorations, of course! You don’t need to place these items near residential buildings but as long as you have them built, your citizens will remain content. If you would like to go further, you can get their happiness up to the point of enthusiasm. Enthusiastic people work 20% harder and giving you a 20% bonus to your production! Running out of space? Well, it seems that it’s time to show your skills as a warlord and send your troops out to conquer a sector in a province! As you will see, at the continent map, there are many provinces. Each province consists of many sectors, and each sector is broken up into several areas. Each different province you conquer will have a different production boost associated with it or sometimes, they will provide you with land expansion options after you’ve conquered them. However, before you can fight in a province, you need to scout it first! Scouting costs coins and takes some time to complete. There are generally 2 ways for you to wrestle a province from its previous ruler’s grasp - The peaceful way via negotiation (a.k.a. resource bribes) or the brutal way that is by crushing their defending army! For the brutal way, you can also make things much easier by infiltrating the enemy’s army to lower your army’s losses. Showing your strength while conquering new land is a good strategy, but you should do it one region at a time. Taking on too many wars on too many fronts will only cost you dearly! To start a war campaign to extend the influences of your empire, you’ll need to increase your military strength. Build barracks and start training troops! Unlike any other strategy game, each barrack has limited slots to house your soldiers, though you can buy more slots using in-game resources or cash. Be sure to assign some troops for defensive purposes as well! You won’t want to be surprised by an attack! In Forge of Empires, the most interesting feature (strong emphasis on the word “most”) of the game is perhaps its turn- and grid-based combat system that is as great as a turn-based standalone strategy game... but bear in mind that this game is browser-based and is free-to-play! Amazing! Similarly like other games like it, the system is very intricate and complicated. It does test your strategic skills to their limits! Furthermore, unlike in Grepolis where peaceful resolutions are encouraged, in Forge of Empires, you are encouraged to attack and conquer to get the land expansion that you need! Combat is not automated and you are needed to actually move your troops across the map while strategically using bushes and forests as cover (gaining terrain defense bonus) or using the high grounds provided as a vantage point to attack the enemy. This sort of in-depth combat is almost unheard of in a browser-based strategy game! Since the game is turn-based, the turn order is very important. Turn order is determined by what type of units you or the enemy deploys. Heavy units basically move later than light units while artillery move even later than heavy units. Movement points are also vital in any turn-based games. Heavier units move less than lighter units. Units on horseback move even faster, as with those on wheels. For melee units, to attack, you’ll need to move your unit to a field adjacent to an enemy. For ranged units, you can attack from afar as shown by the colored grids, depending on the distance between your unit and the enemy unit. You can also decide to finish a turn for your units without moving or using less than all of your movement points for strategic purposes as well! Certain units work well against a specific unit. For example, artillery works excellently against heavies, while heavy units deal higher damage against light infantries. Not to mention, besides defense bonuses, certain terrain do give certain bonuses to damage too! For instance, artillery works even better if it is position at higher ground. Any troops injured during combat will heal over time – the stronger the unit, the longer it takes to heal up. In combat, you can only deploy up to 8 troops, so be sure to choose the correct mash up of different types of troops to counter the enemy’s defensive forces. Do remember to leave some (up to 8) troops, uninjured ones preferably, as defense for your city too! Forge of Empires is also a social game. You can visit your neighboring cities to aid or plunder them. You can aid by motivating their buildings to produce more resources or polish a cultural building to boost up their people’s happiness. Plundering is a very straightforward battle. If you win, you can decide which building (goods, residential or production building) you wish to plunder. It depends on which resources you need! The game also provide a market for trading as well as medals that can be gained through PvP tournaments or participating in leveling up Great Buildings (or for people familiar with Age of Empires, “wonders”). 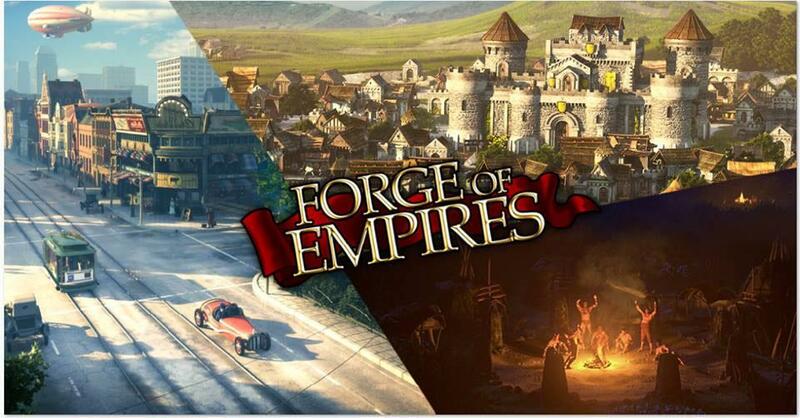 Explore the beautiful and conquerable world in Forge of Empires and expand your city into a huge nation! Forge of Empires has almost 400 thousand likes on its Facebook fan page and that speaks volumes of the popularity of the game. If you’re interested in playing with other fellow players, feel free to sign up and join a guild in the game! If you need help, you can use the global chat to ask some of the more experienced players for advice or you can check out the game’s forum that is linked via an in-game button. If you enjoy playing the game, don’t forget to give the fan page a “like”! The graphics in Forge of Empires are nothing short of astonishing! Considering it is a free-to-play browser-based game, the visuals in this game rivals that of a standalone game. The game has truly amazing building and unit models as well as very nice randomly-generated battle terrains. For music, the game contains slow music that is interrupted with certain ambient sounds like birds chirping or people coughing. The game has variety for its music as well! The inspirational-themed music provided for battles is brilliantly composed and is suitable for the “occasion”. In short, Forge of Empires is a great free-to-play browser-based MMORTS that delivers a nice “Age of Empires-feel” to the game in addition to its amazing turn- and grid-based combat system. In this game, you’ll need to have strong production for both troops and resources and to do so, you’ll need research! 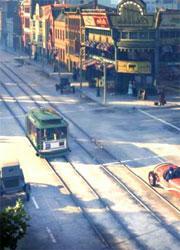 Advance your city and your civilization through the ages – from the tribal Stone Age to the Modern Era! Expand your empire’s influences and land by ruthless conquest or through negotiation... it is all up to you to decide! Build an empire that you can be proud of in Forge of Empires today and show the world that you can be a brilliant ruler!